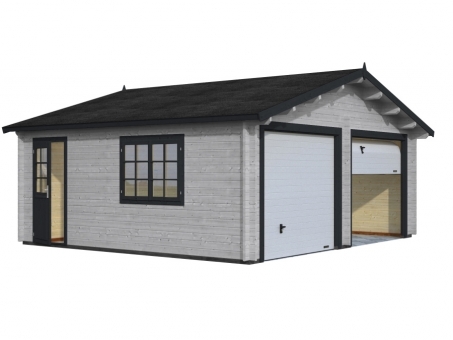 The design is traditional and unpretentiousness, but the quality of the timber, joints, and roof boards make the Colorado 3 is a handsome addition to any driveway or garden. It will certainly be coveted by your neighbours. 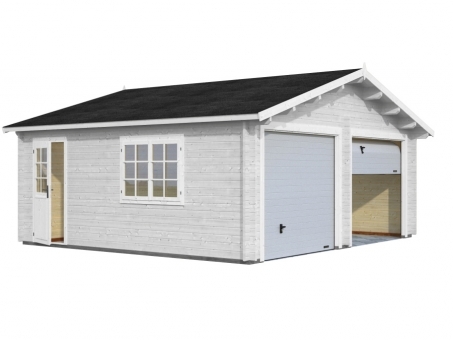 Features include 44mm timber, giving a good level of insulation for your cars or guinea pigs. Double glazing reinforces the insulating properties of the timber, reducing heat loss through the windows and doors (which, by the way, can be placed on either side of the garage). 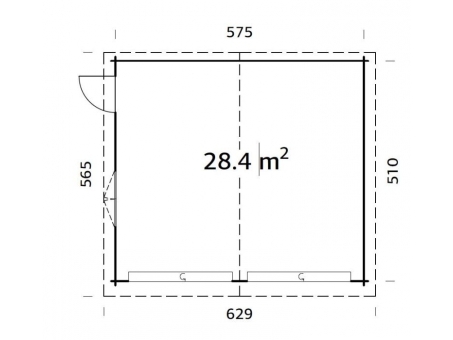 On the specs side, the walls are 44mm high-quality Nordic spruce throughout. As well as being attractive to look at, it's durable and dense, with fine insulation properties. The roof is also solid timber, 19mm thick. All windows are double-glazed. 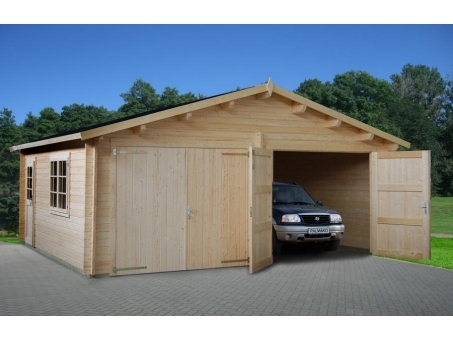 The Colorado 3 comes with a solid timber-clad up-and-over door. To maximise the versatility of the design, the entrance and window can be placed on either side of the timber cabin. 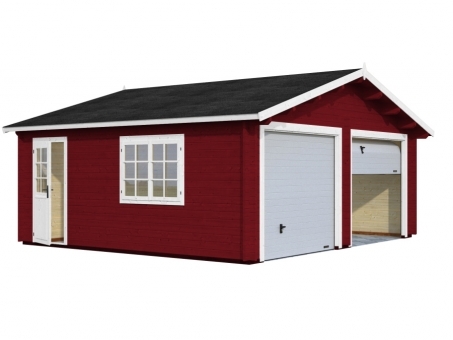 The Colorado 3 is easy to construct yourself even if your DIY experience is restricted. However, we have an on-site construction service if you'd prefer someone else to do the graft. 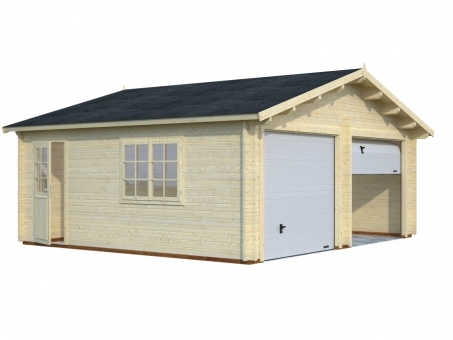 We'd be delighted to give you more details about this - or other aspects of our log cabins and timber garages.